Pier formwork can be divided into have tie bolt type and no tie bolt type (include truss structure). The company's operations in China have grown rapidly in the past decade with the country becoming its largest market. When you receive your order confirmation, you will find the information on your final delivery date (outgoing). The form traveler system is used for construction of balanced cantilever concrete bridges and is designed to provide a rigid frame to minimize deflections under load. The traveler system design can also accommodate wide variations in segment length, height, web thickness and deck width and geometry. Economical effecient The form traveler system is economical and efficient to use &ndash; designed with pinned connections for simplicity of erection and dismantling. Delivery: 1. 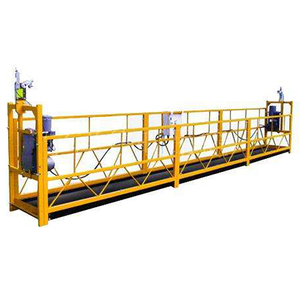 If the size of whole 300 ton underslung movable scaffolding system machine are suitable for container ship, usually by container. 2. 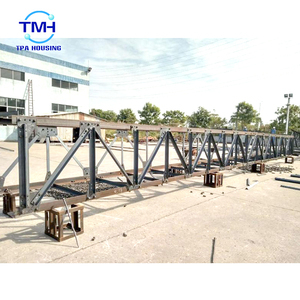 What&rsquo;s the bridge erection method of the 300 ton underslung movable scaffolding system machine9 It is erection by span by span cast in situ method. 4. 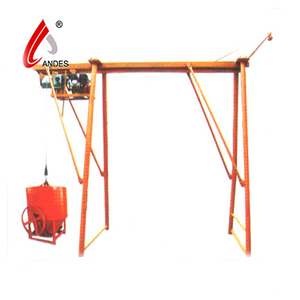 Whatis the Launching Mechanism of the 300 ton underslung movable scaffolding system machine9 It is by hydraulic. we are a real factory, our own engineer can design and manufacture according to your requirement or drawings. 5. Large production capacity and warehouse stock ensures on-time delivery. 6. 10 years of R&D experience, continuously bring new products to the changing market. The wood and steel bridge elements were small and light enough to be carried in trucks and lifted into place by hand, without requiring the use of a crane. Bailey bridges continue to be extensively used in civil engineering construction projects and to provide temporary crossings for foot and vehicle traffic. Q: What is your main product9 A: We design and produce steel bridges including bailey bridges,and other kind of steel structure. Steel Bridge Construction Specifications 1,High strength and intensity but light weight 2,Waterproof, UV resistant, heat insulation,anti-aging 3,self-cleaning, beautiful view 4,Easy to install Description: *Material: ECO,PVC,Hegtex *Surface: use PVC coated *Dimension: Customerize design . not be rusty & rotted 5. Seurity: Membrane Structure can keep the good stability under the action of horizontal load such as earthquake 6. Waterproof, UV resistant, anti-rust and flame retardant 7.Large span:The largest span of Tension membrane structures can exceed to 200m. &#8544; . IV Steel characteristics 1. Environmental protection 2. Higher reliability of steel work 3. Strong quakeproof 4. Higher degree of industrialization 5. Quick to be assembled accurately 6. Larger interior space ABOUT US Jiangsu Andy Steel Structure Co.
Pay for transport Q: How to get a concrete mould for slab wall bridge construction sample9 A: We can provide free concrete mould for slab wall bridge construction sample and customers only need to pay express cost. Q: How to pay express charge if order sample9 A: 1. We afford free sample, customers pay the freight cost by their own express account, such as DHL, FEDEX, TNT, UPS etc. 2. Customers pay the freight cost to our bank account, we will send samples with freight prepaid. Shenzhen Sigma Membrane Structure Import & Export Co., Ltd.
Jiangsu Zhonghai Bridge Equipment Co., Ltd.
Hebei Yongyang Special Steel Group Co., Ltd.
Our company is one of the biggest manufacture of bridge formwork of China. 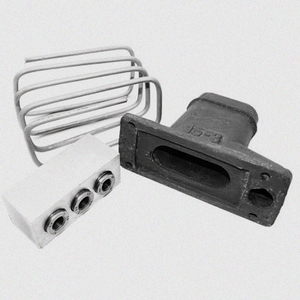 Our products are made of full steel and they have good regidity and surface finish. They are available for all kind bridge construction. has been dedicated to providing more than just material supply, We has helped customers reduce costs and improve the bottom line. General Introduction Steel tie rod also called tension bar or steel tie bar, It is made of carbon steel and alloy steel. Guarantee We will continually improves and expands the quantity and quality of our product which exactly meet customers need. 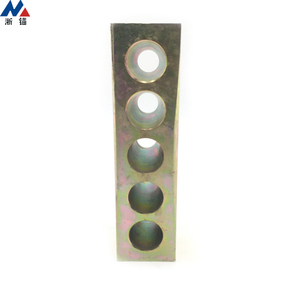 2016 Hot New slab concrete wall metal forms for construction Templates formwork is an ideal replacement to plywood formwork or plastic formwork because it is highly durable,waterproof and performs a longer life span. Advantage: Templates formwork is made of Q235 steel which has high loading capacity for forming concrete. Templates formwork is the multifunctional formwork panel which can be used for forming beam slab,column,roof and wall. Alibaba.com offers 62,753 bridge construction products. About 3% of these are metal building materials, 2% are steel structures, and 1% are formwork. A wide variety of bridge construction options are available to you, such as heavy, light. You can also choose from aisi, gb, and astm. As well as from frame part, steel structure bridge, and steel workshop. And whether bridge construction is steel, plastic, or pvc. There are 62,653 bridge construction suppliers, mainly located in Asia. The top supplying countries are China (Mainland), Taiwan, and Vietnam, which supply 99%, 1%, and 1% of bridge construction respectively. Bridge construction products are most popular in North America, Southeast Asia, and Domestic Market. You can ensure product safety by selecting from certified suppliers, including 18,689 with ISO9001, 8,013 with Other, and 3,686 with ISO14001 certification.